In a hot pot boil the water with garlic, kelp, and dashi. 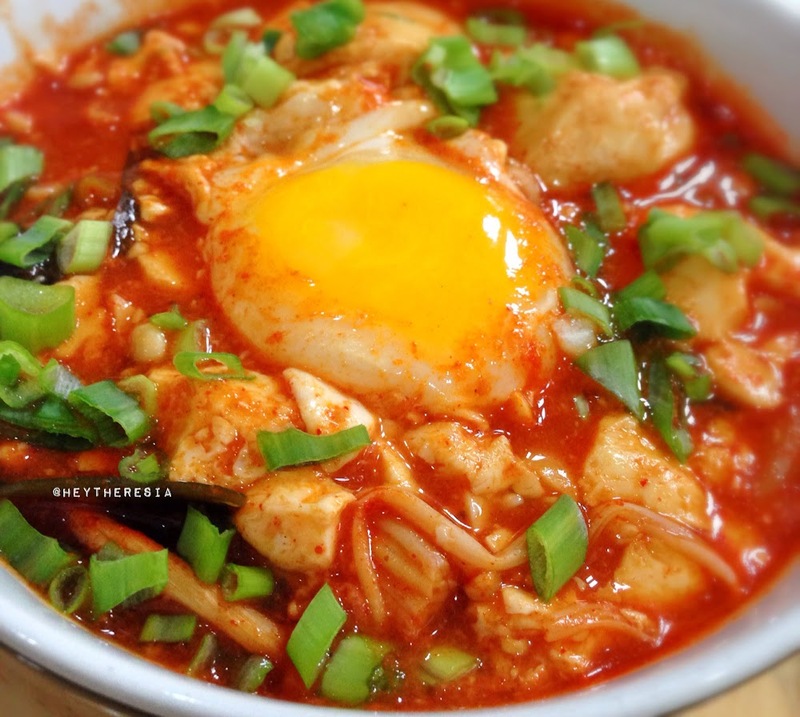 Add the gochujang, tofu, and the rest of the ingredients except the egg. Cook for 5 to 10 minutes, add the egg.